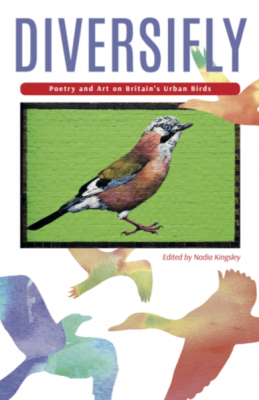 I am so happy to announce that DIVERSIFLY – poetry and art on Britain’s Urban Birds has been shortlisted in this year’s International Rubery Award for Poetry! 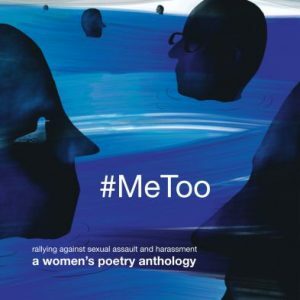 Having been longlisted in the Best anthology category of the Saboteur awards earlier this year – DIVERSIFLY has poetry and art from contributors whose age ranges from aged 10 to 86 yrs. 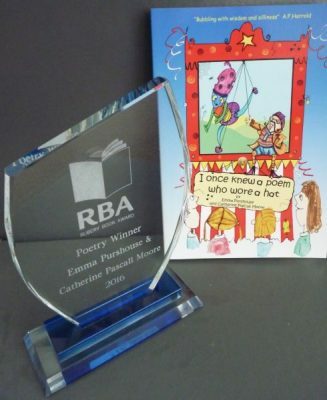 Congratulations to George Aird, Shanta Acharya, Rosemary Appleton, Richard Archer, Ann Bridges, Carole Bromley, Jane Burn, Miki Byrne, Ken Cockburn, Tina Cole, Dan Davis, Kelly Davis, Cherry Doyle, Rhian Elizabeth, Giancarlo Facchinetti, Nick Falkowski, Heather Fowler, Tim Gardiner, Aysar Ghassan, Gordon Gibson, Sue Hardy-Dawson, Deborah Harvey, Jen Hawkins, Tony Hay, Penny Hodson, Jonathan Humble, Janet Jenkins, Ali Jones, Paul Kielty, Nadia Kingsley, Chris Kinsey, Linda Kurowski, Therese Lee, Amelia Loulli, Nico Loulli, Jane Lovell, Kirsten Luckins, Thomas McColl, Sue Mackrell, Alwyn Marriage, Roy Marshall, Mary Matusz, Andrea Mbarushimana, Mark Mennell, Fiona Moore, Steph Morris, Jill Munro, Lisa Osborne, Cheryl Pearson, Jeff Phelps, Adele Pound, Frances Rarehare, Brenda Read-Brown, Lynden Rees-Roberts, Susan Richardson, Shauna Robertson, Andrea Robinson, David Rudd-Mitchell, Eileen Schaer, Finola Scott, Derek Sellen, Mark Sheeky, Sue Spawn, Jayne Stanton, Peter Tinkler, Mark Totterdell, Rob Turner, Andrew Tyzack, Deborah Vass, Lyn White, Dora Williams, Katrinka Wilson, Gordon Yapp and Sarah Yates. 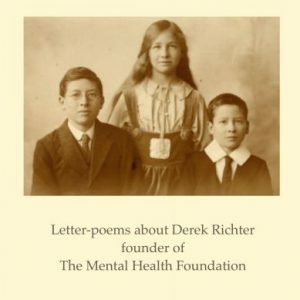 And a huge thank you to Brian Bilston, Carrie Etter, Andrew McMillan, Sabrina Mahfouz, Kaite O’Reilly, Emma Purshouse, Amaal Said, James Sheard, and Dorothea Smartt for their commissioned poems. To BRETT WESTWOOD for its foreword, and MATT MERRITT of Birdwatching magazine, and poet, for his endorsement, and support.